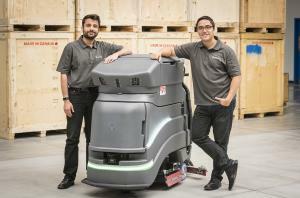 KITCHENER, ONTARIO, CANADA, August 3, 2018 /EINPresswire.com/ -- Avidbots Corp. today announced that Groupe3S has purchased Avidbots Neo, the self-driving, floor cleaning robot, to enhance cleaning productivity and performance for Paris Charles de Gaulle Airport. The purchase was transacted through Avidbots’ value-added distribution partner in France, Facilibot. Conceived and created in the technology region of Waterloo, Ontario, Canada by Avidbots, Neo is a purpose-built, autonomous floor scrubbing robot that integrates state of the art navigation technology with hardware. It is designed for ease of use, longevity, serviceability, safety and high productivity. Paris Charles de Gaulle Airport is the second busiest airport in Europe and the most popular airport in France, hosting over 65,000,000 visitors a year. According to Facilibot CEO Alain Castay, this is the first in a series of phased deployments of Neo in multiple airport sites across France. “We are very excited to be working with Groupe3S, as well as Paris Charles De Gaulle Airport, to deliver the benefits that airport cleaning robots can bring to their facilities,” said Castay. 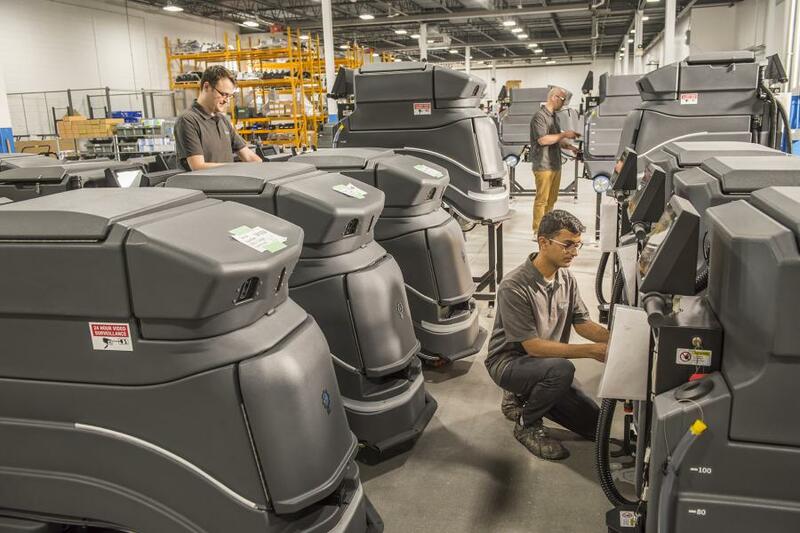 The Avidbots Neo is currently deployed on five continents, servicing some of the world’s leading shopping malls, airports, education facilities, healthcare centers, manufacturing sites, and other commercial spaces. The company has a 40,000 sq. ft. operations facility with headquarters in Kitchener, ON, Canada. Avidbots Corp. vision is to bring robots to everyday life to expand human potential. Its first product is Neo, the self-driving floor scrubber which is widely deployed and trusted by the world’s leading facilities and building service contractors. As a 100% vertically integrated company headquartered in Kitchener, ON, Canada, Avidbots offers comprehensive service and support to customers in Canada, the United States, France, Norway, UAE, Singapore, Japan and Australia. For more information, visit www.avidbots.com. Facilibot is a pioneer in e-facility management based in Paris, France. Facilibot controls the entire deployment of robotic solutions at each key stage: from distribution to sales, user support, risk prevention and management, robotics fleet life, taking into account evolutions, migration technological change and contract reversals. Facilibot offers floor cleaning solutions ranging from rental and maintenance and the sales and rentals of its robot cleaner manufacturer, Avidbots. For more information, visit www.facilibot.com. Founded in 2001, Groupe3S is a leading cleaning facilities company serving the airline industry in France. With a workforce of 6,000 employees and annual revenues of € 300 million, it has locations across the country in Roissy CDG, Orly, Bordeaux, Toulouse, and Lyon. Serving over 50 scheduled airlines and 10 million passengers a year, Groupe3S is recognized for its professionalism and is a member of the FNAM and the CSAE management committees. Its intense focus on customer service has earned it loyal relationships with flagship partners such as Aéroports de Paris-ADP and AIR FRANCE and resulted in industry leading results for the company and its customers. For more information, visit: www.groupe3s.com. Avidbots Corp. vision is to bring robots to everyday life to expand human potential. Its first product is the Neo self-driving floor scrubber, which is widely deployed and trusted by the world’s leading facilities and building service contractors. As a 100% vertically integrated company headquartered in Kitchener-Waterloo, Canada, Avidbots offers comprehensive service and support to customers in Canada, the U.S.A., France, Norway, UAE, Singapore, Japan and Australia. For more information, visit www.avidbots.com.